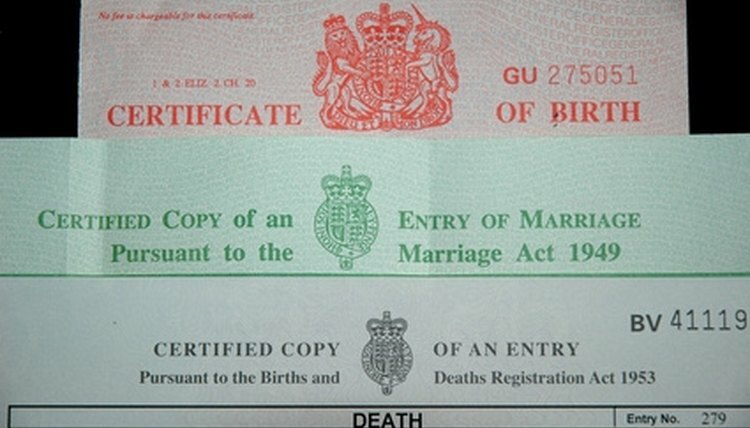 A certified copy of a birth certificate can be obtained to replace a lost or destroyed birth certificate. Certified copies are considered acceptable proof of identity. Texas is a closed record state, which means that only immediate family members can apply for a registrant's birth certificate. Everyone else must provide a notarized statement from an immediate family member or legal documentation authorizing the release of the birth certificate. To order a certified copy of a birth certificate, you need the full name of the registrant, the date of birth, and location of birth. You also need the full name of the father and full maiden name of the mother if this information is available. Order a certified copy online. Fill out the online application at TexasOnline. You need to provide your relationship to the registrant, your driver's license number and Social Security card. As of June 2010, there is a $22 fee. The processing times for a certified copy is approximately 10 to 15 business days. Thompson, Leigh. "How to Obtain a Certified Copy of a Birth Certificate in Texas." , https://legalbeagle.com/6570918-obtain-copy-birth-certificate-texas.html. Accessed 21 April 2019.